Welcome to this week’s edition of #FirstLineFridays! This week, our theme is Favorite Genre. My most favorite genre is Biblical Fiction. The pulse of the sea pressed me forward, urging my body deeper into its embrace. I have read every published novel by Connilyn Cossette. I have also completed a couple of her Bible studies that she put together in conjunction with her novel series. I highly recommend them. They are great Bible studies. Connilyn Cossette is an AMAZING writer. I have grown closer to God because of the things I have learned from her beautiful novels. 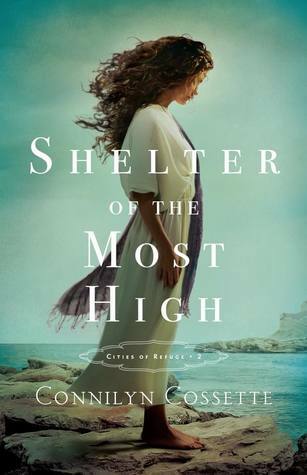 Cossette’s books are so well researched, and her themes are so compelling and relevant to today, that I know every time I sit down and read one of her books I am getting more than just a fictional adventure. If you have not read any of Cossette’s novels I implore you to do so. You will NOT be disappointed. To check out my reviews on Connilyn Cossette’s novels to date, click HERE. The first line is very pretty! Thank you. I hope you have a great weekend, Kathleen. WHOA! Those are some of the most fabulous first lines I’ve ever read. Thanks for sharing, Vickie! Happy reading, my friend. Thank you for sharing Paula! I can’t wait to get to this book. I hope you are enjoying it! Thank you for sharing, Kay! Happy reading! Love that first line! I’m hoping to find a way to squeeze this one into my busy reading schedule! Over on my blog, I’m featuring the first line from The Cumberland Bride by Shannon McNear. Do stop by and check it out. I hope you have a wonderful weekend. Thank you Trisha! I will definitely stop by today. Hope you have a great weekend filled with lots of relaxing and fun! I haven’t read any books by this author, but I will have to check out her Bible studies. 🙂 Happy reading! The Princess is my most favorite Lori Wick novel ever. Great taste! Thank you for sharing. Thanks Becca! I hope you have a great weekend too! This is next on my to-read pile – I was so impressed with the first in the series that this has a lot to live up to! This book is next up on my list! I haven’t read anything by her yet so I’m happy to hear you raving about her writing. Thank you for sharing! I hope you have a great weekend filled with quality reading time!